There is no way that this product is make-up! Surely it should be classed as a work of art! It would look right at home in an art gallery, as well as on my dressing table! I didn’t want to try the eye shadow out at first, just in case I ruined the intricate design! 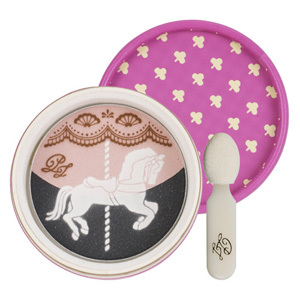 If you haven’t seen this product before; basically, the magical fairies at Paul And Joe, have created an eye shadow palette in the style of a carousel horse, it’s beautiful, and totally unique! I saw many pictures of the eye shadow before seeing it in reality, and I have to say it’s just as stunning, if not better in real life! One would think the standard of the eye shadow would not match the standard of the aesthetic, but remarkably it does! 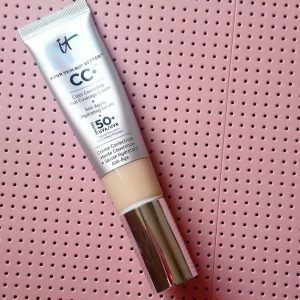 This foundation is so good! 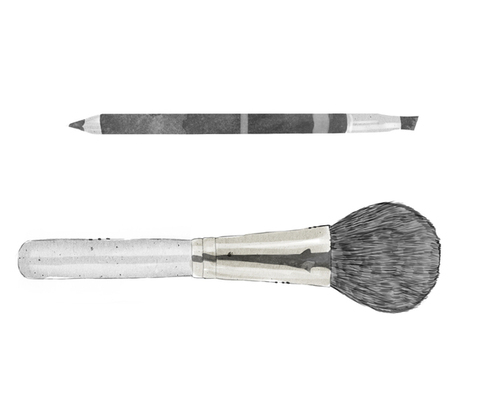 It’s lightweight, nourishing and long lasting – perfect! It comes in a glass, pump-action bottle, which is identical to the Pearl Primer that I reviewed a few days ago. 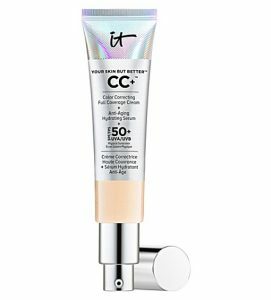 The luxurious bottle holds 30ml of the ‘Protective Fluid Foundation’, but the pump action ensures that you only take a small amount each time. To be honest, you don’t need a great deal to provide a even complexion. I use three pumps of the foundation, for a light coverage. Obviously, a higher coverage, will need more. 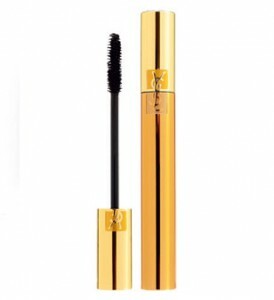 I’m in love with this product! It was an eagerly anticipated product from Paul and Joe, who correlate the themes and colours of their make-up to match the current season of their fashion line. This season is called ‘Carousel’. When I first saw the bottle that the primer came in, like everyone else, I was in awe, and knew that I wanted it on my dressing table. 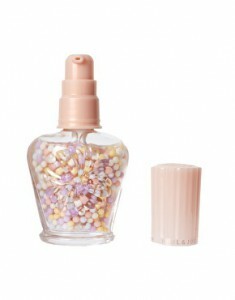 The clear glass bottle, that has a bevelled flower on the front, contains tiny pearls of multicoloured, pastel shades of primer. The bottle is a work of art. The ‘art deco’ inspired cap finishes the look off, but I was dubious about opening it as I wanted to keep it looking pretty, it wouldn’t look as nice, half full. But in the end I couldn’t resist giving the primer a go, and I’m so glad I did. Lush's Emotional Brilliance Range. Finally Products Created To Suit The Individual As A Whole! I'm In Love! So what is the Emotional Brilliance range? 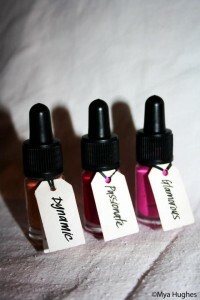 It is a 100% vegan colour range of cosmetics containing lip colours, eyeliners and eyeshadows. It’s a completely new concept; one has to click on a wheel containing 30 colours on the Lush website, which spins when clicked. Once it stops you must pick three colours that appeal to you. The premise of this is for you to choose the colours that you are are drawn to naturally, not because they are your favourite colours, or colours that are this season’s trend. I love this product! 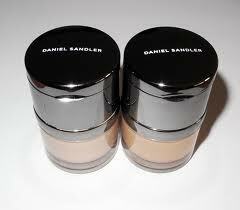 Ever since I started wearing make up, I’ve always worn powder blusher. I’ve always been so happy with powder blush, that I never looked at cream or gel blushers. However, I was sent this sample and it has changed the way I view blusher completely! 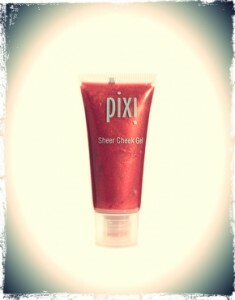 I think I was in a blusher rut, until this miracle gel came along. Ok, so I’m bigging it up a bit too much there, but seriously, it’s awesome and much better than my original powder blush (and cheaper too)!